I am on the hunt for some really soft dinner rolls. 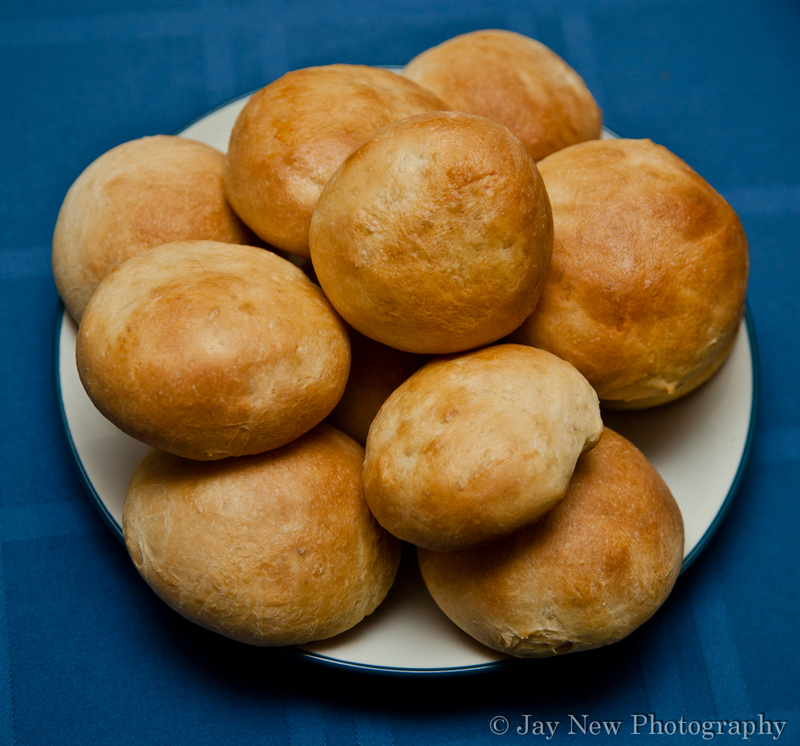 The kind of dinner rolls that are pillows of buttery goodness. Imagine a roll that is the size of your entire hand but when crushed, is so small. This is one of the first attempts at this particular search. These are really good, but definitely are not the fluffy goodness I was after. What I do like was that it was soft but strong enough to catch the last of the stew, from my Green Lentil and Sausage Stew. Even though these were not the fluffy clouds of bread I wanted, I will definitely make these again. It is a perfect pair for stews and soups. They even made great sandwich breads after. I can see using these for a lot more recipes. Combine ingredients all ingredients, except milk and mix well. Add enough milk, to form a ball of dough. Knead dough until it is soft and elastic and then place in a greased bowl and cover. Allow dough to rest for at least 1 hour. After 1 hour, divide dough into 12 portions and form each into a smooth ball. Place each roll on a greased baking sheet and cover.